Every industry faces a new transformation every year. In fact, technology is so rapidly widening its reach that it surprises us every day with a new invention. Agree? Then whether it is the healthcare industry, automobile industry, or IT industry, all have experienced a good transformation in recent years. Then how would the education sector lag behind? Of course, the education sector has faced many new changes in the last few years and there is a lot more we'll experience in this year. Education sector remains as one of the industry which has seen numerous remarkable changes every now and then. Namely, smart classes, biometric attendance system, GPS tracking in school buses, software to manage school tasks, and the list is too long. 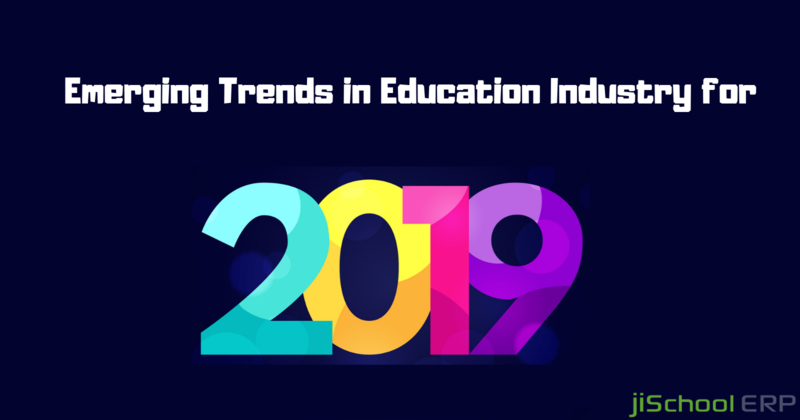 And as the technology keeps on expanding every moment, the education industry is expected to encounter certain trends this year. Let's have a quick look at the expected trends in the education sector and explore more about it. Apart from speech recognition, problem-solving, and planning, artificial intelligence has a lot more for the education industry. The concept of adaptive learning will be introduced in order to enhance the students learning experience with the help of machine learning, AI, and big data. On the teachers part, it will become easy for them to understand each student's psychology and their level. Introducing chatbots will make easy tutoring while offering a better learning environment for the students. As the demand for experiential learning is growing in schools, the education industry is adopting virtual reality for schools. Subjects like history and chemistry can be made easy for students by offering a better life-like experience and thus improving the students learning the process. As compared to manual teaching methods, if schools use audio/video/visuals for teaching, it will become easy for students to understand concepts in a more clearer way. Creating a good learning environment will become better with the introduction of all the latest technology trends. But what about the students who are dyslexic. These students need more attention and time as compared to other students. However, technology has a solution for every problem. Personalized learning will allow the students to understand better with audio books, instead of struggling with the difficult text. Internet of Things still remains the topic which is widely discussed till date and has gained the spotlight in no time. Unlike other trends, IoT will make it easy for the teachers and school administration to manage daily school activities. Moreover, it will assist the teachers to share the student results with the parents, students, or other staff members in real time. Teachers can even further send an alert to notify the students about important notices and information. Schools are becoming more concerned about the student's security and the data of their parents as well. More security factors are introduced like adding GPS tracking in all the school buses, safeguarding the student's personal details over the cloud, managing parents account details and other confidential data securely. If your school is missing out these features and you are planning to make an upgrade, you must rely on us. jiSchoolERP lets you streamline your daily school operations while offering you a huge set of exciting features. Waste no more time and without any second thoughts, go for the perfect vendor which can meet your school needs at affordable prices.